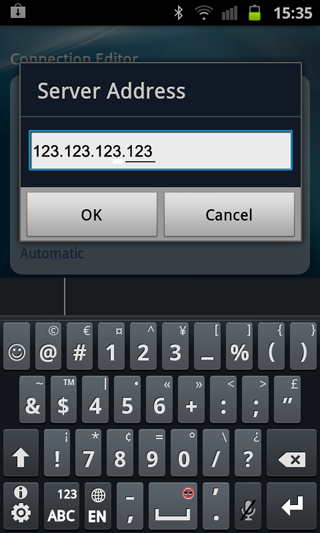 You have an Android device* and you would like to create a remote VPN connection to a Cisco device running AnyConnect. Note: This is not a walkthrough on how to configure AnyConnect, for that go here. 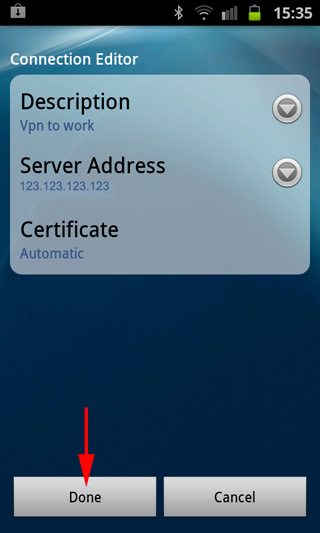 Be aware that in addition to your SSL VPN licences your Cisco ASA device also needs a "AnyConnect Mobile" license. If you do not have one you will receive this error. 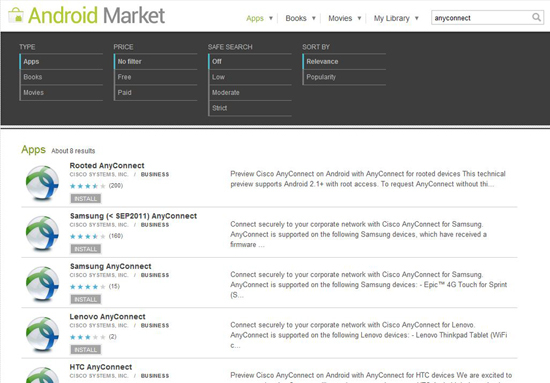 *Note: At time of writing the AnyConnect client is only available for Samsung, HTC, Lenovo, and Android phones that have been rooted. 1. 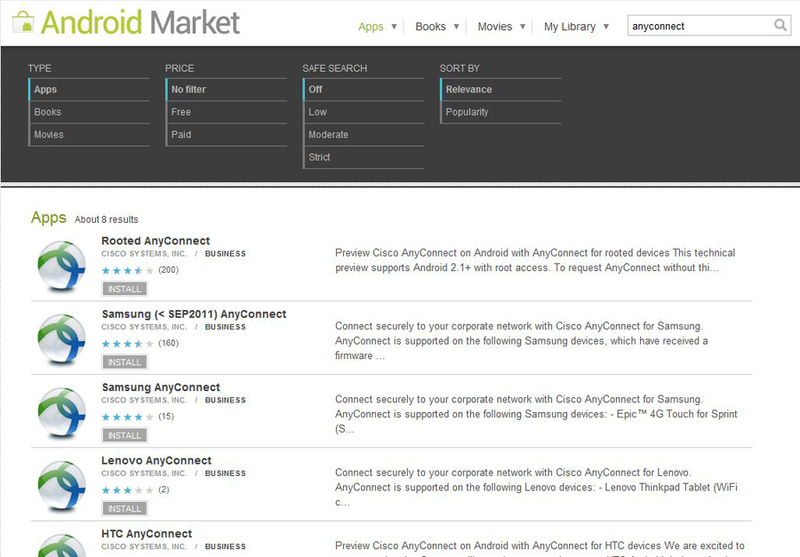 First head over to the Android Market, locate and then install the AnyConnect Client on your device. 2. Once installed launch the AnyConnect client. 3. 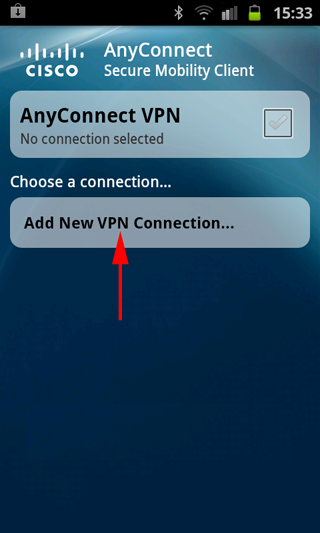 Add New VPN Connection. 5. Give the connection a recognisable name. 6. Set the server address, to either the public IP of your Cisco device, or if you have a public DNS name that points to it e.g. vpn.yourdomain.com you can enter that. (Providing the device can resolve that address using DNS). 7. You should not need to enter Certificate details, unless your IT department have secured the AnyConnect profile with certificates like this. 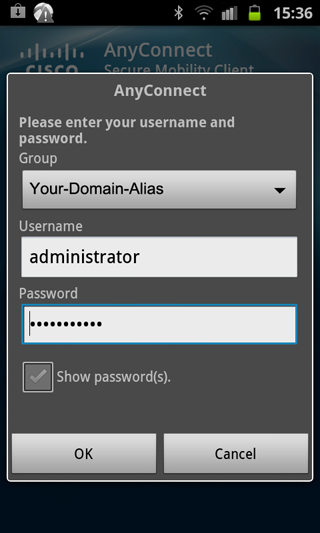 In most cases you would supply a username and password to connect, so this is not relevant. If you are unsure speak to the person/department that looks after your Cisco device. 8. To save the connection click "Done". 8. To start the connection, simply tap it. Note: To delete/edit a connection profile tap and hold it. 9. Type in your credentials > OK.
10. When connected you will get a "Green Tick" and the logo at the top of the screen will show a closed padlock. This padlock logo will remain all the time you are connected. 11. 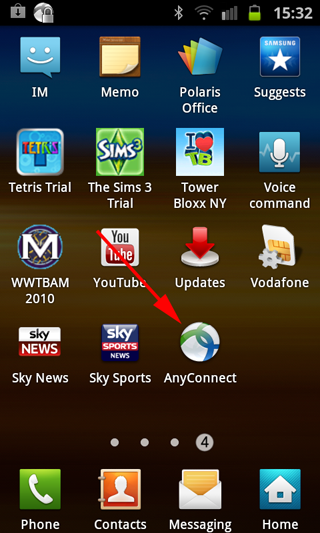 To disconnect, simply tap the green tick, and the client software will terminate the connection. Thanks to David Simpson for trusting me with his phone for half an hour.